The Field & Co.® Hudson collection has a gritty, urban look and feel but with modern functional design and details. 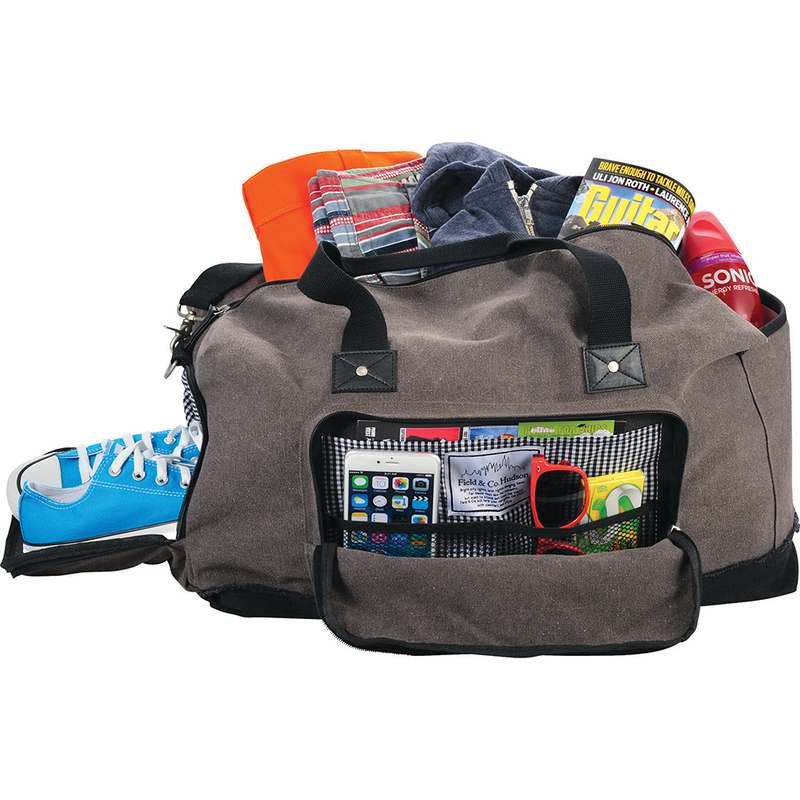 The Hudson duffel makes the perfect weekend getaway bag with it's large main compartment, dedicated shoe compartment and zippered front organizer pocket. Exterior slash pocket lets you drop in everything you need quick access to, or to store your water bottle. Black and white micro gingham print on the interior adds a stylish detail. Unique Field & Co.® branding details like the exterior cotton patch and interior label featuring the inspiration behind the collection. Removable shoulder strap gives you multiple carry options. Main compartment capacity is approximately 59 litres.